A story of a vampire warlock hybrid, a dragon's egg he finds and adopts and thier friend the immortal sorceress, Pandora. She is kidnapped to get to the half warlock, Salem who must leave the comforts of his dungeon to rescue her from braydin the demon shifter. Salem and his dragon, Kadrid must travel through several forests of magic and portals to find her and find out why this hybrid demon has captured her. Here's a book of Magical Creatures written by Rooky Gricklewick. He is one of the greatest explorer on the world of magic that survived fearsome adventures and an expert in his 90 years of existence. In this book, we will discuss every kinds of dragons, trolls, fairies, and so as the rare ones, and many more! 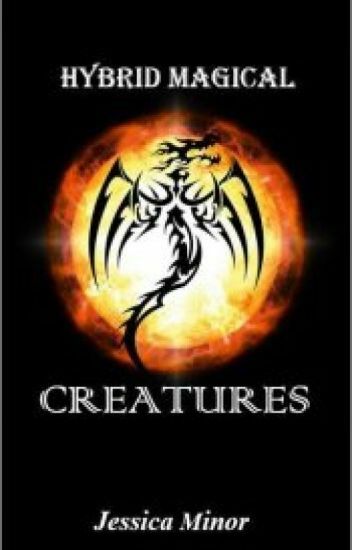 Some magical creatures on this book are created by my imagination but some are based on myths. When Mathias, a young prince of a powerful kingdom, is exiled to keep him from becoming a threat to power by his own father, tempers are raised and Mathias becomes quite the man of his own. a young nurse starts a new job in the asylum, after snooping around the forgotten wing she finds a strange door leading to another reality, one in which she truly belongs. There she finds her way in this new reality as memories of her own slip away, forgetting the life and the asylum. She makes a new life in this diffrent realm, finding friendships and love along the way.